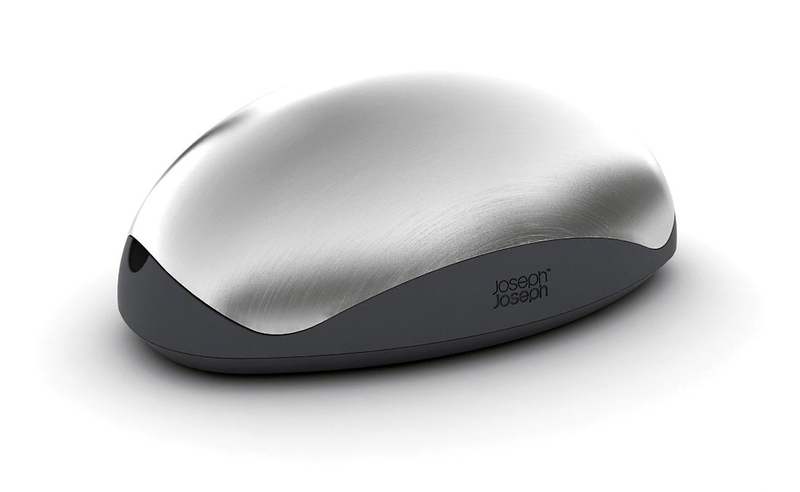 HomeBlogHome DecorShell digital kitchen scale by Joseph Joseph. 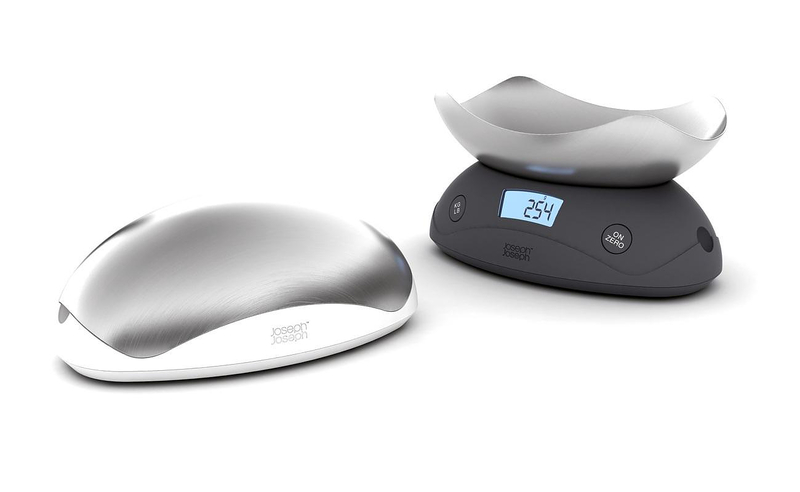 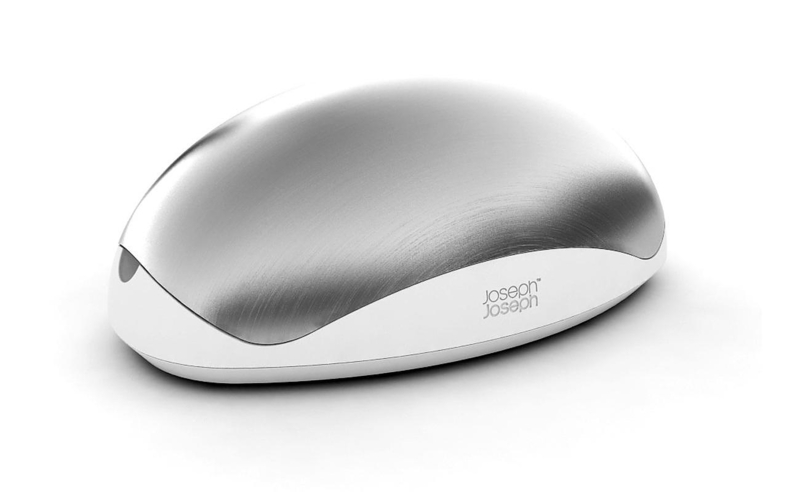 The sleek and shiny Shell digital kitchen scale by Joseph Joseph is practical, versatile and very good looking. 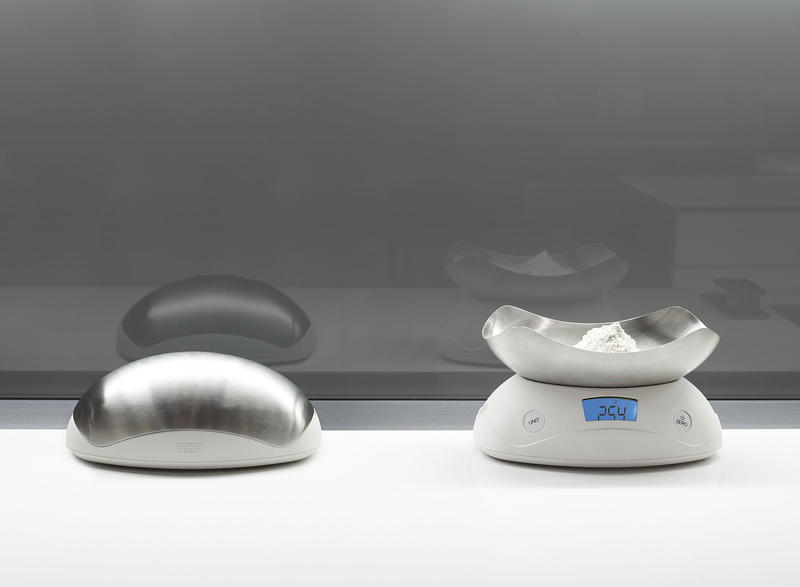 The Shell digital kitchen scale by Joseph Joseph measures liquids and dry ingredients in all major measuring units up to a total capacity of 5kg / 11lb / 600ml. 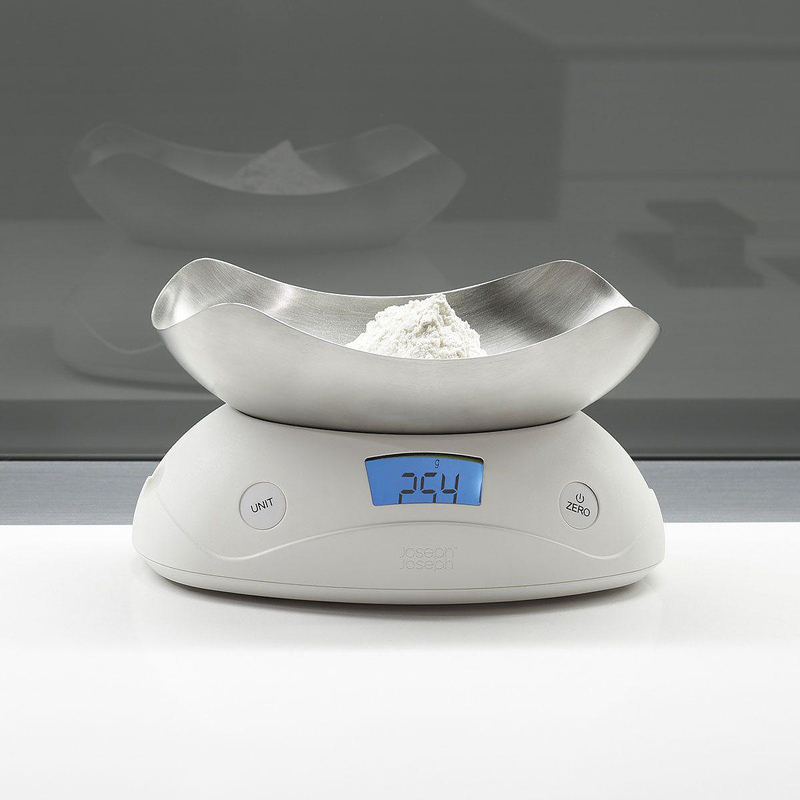 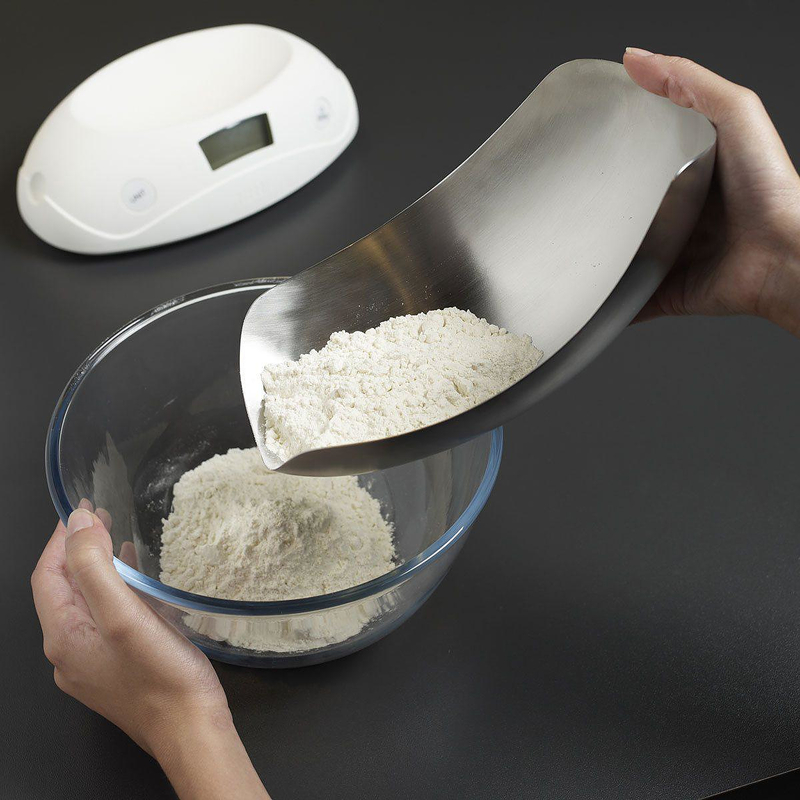 The useful “add and weight” function allows multiple ingredients to be weighed in the same bowl during recipe preparation. 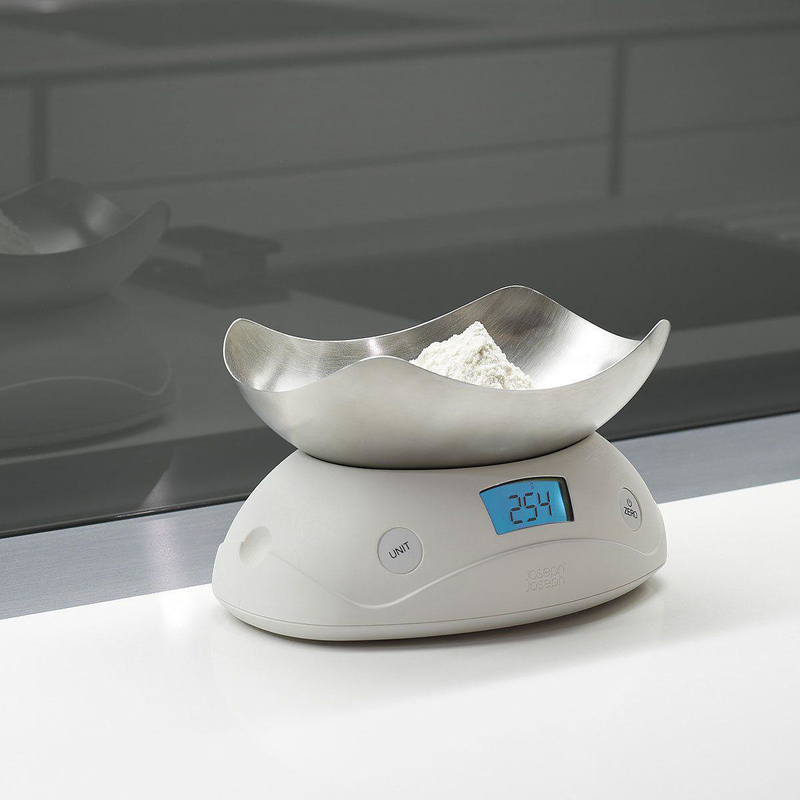 This enables an uninterrupted preparation of even longer and more complicated recipes, since you can mix and weigh at the same time. 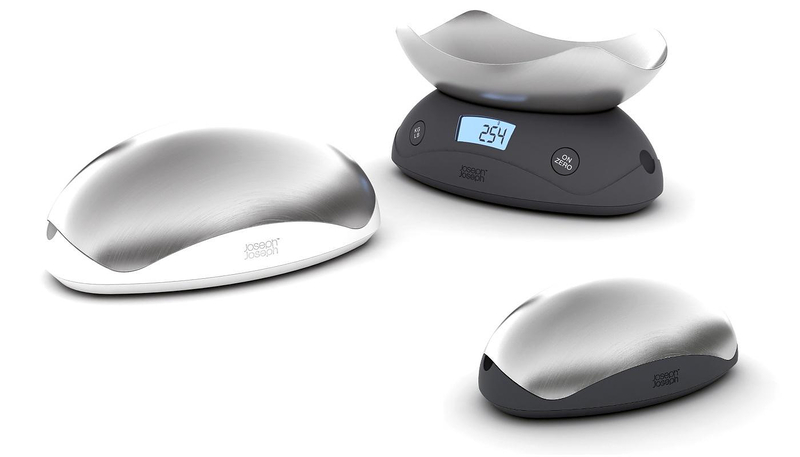 Moreover an automatic switch-off function ensures a maximal battery lasting. 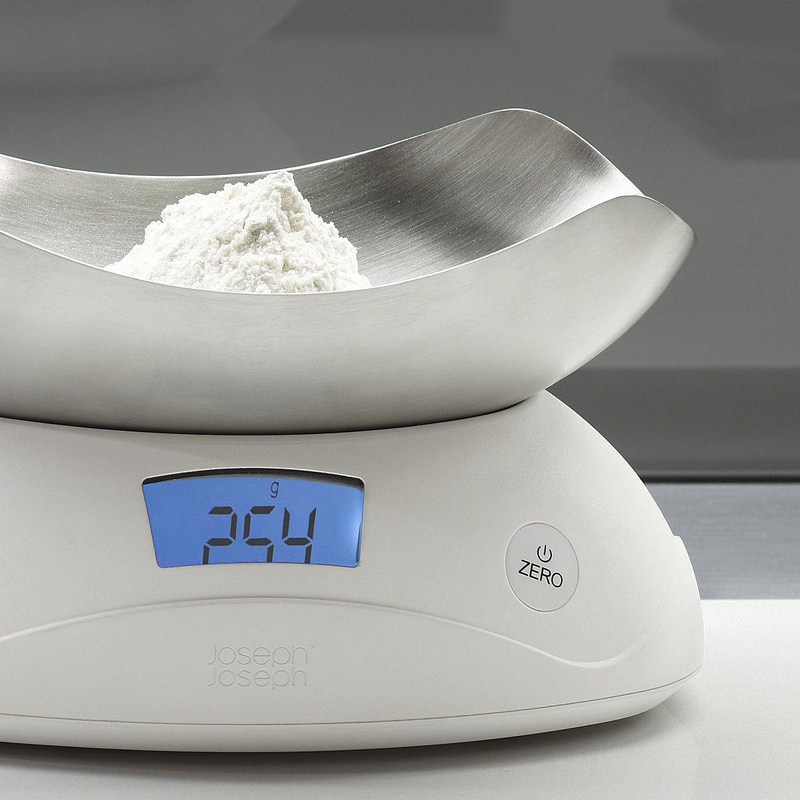 Finally the top notch construction quality is backed-up by a bold 10 year guarantee for the internal parts of the scale.